Even the esteemed pre-Impressionist painter, Edouard Manet (1832 – 1883), could do a dud from time to time. Every artist does, though it’s hard to imagine that the creator of “Le Dejeuner” (right) could have been guilty of something as inept as “Baudelaire’s Mistress” (below). The clunky face, the huge hand, the far, far feet at the ends of legs originating somewhere offstage left, the dismal, washy curtains, the vulgar intemperance of the black and white contrasts–he was clearly having an off day. He must have realized it in the morning. Then why didn’t he discard it? The trash can is the best friend of any artist’s reputation. Perhaps he was thinking he could fix it up, and never got around to it. Maybe Baudelaire liked it, and wanted it. 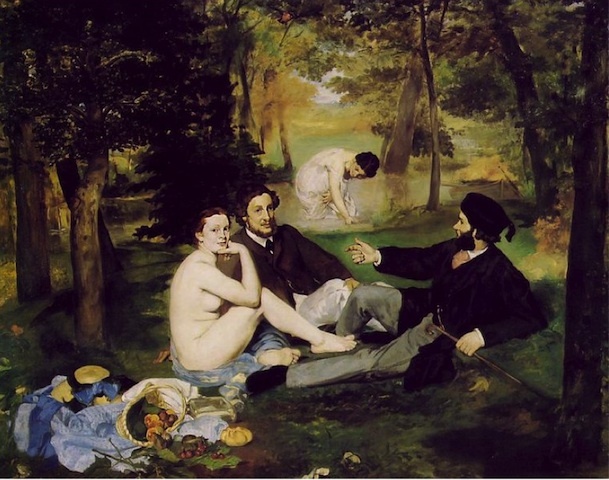 Or possibly Manet struggled with it, and regarded it as a success in some personal way. Whatever the story, the evidence lingers on. It was in the recent show of Impressionist-era painting and couture at the Metropolitan Museum in New York. It looked even worse by comparison with the other work. 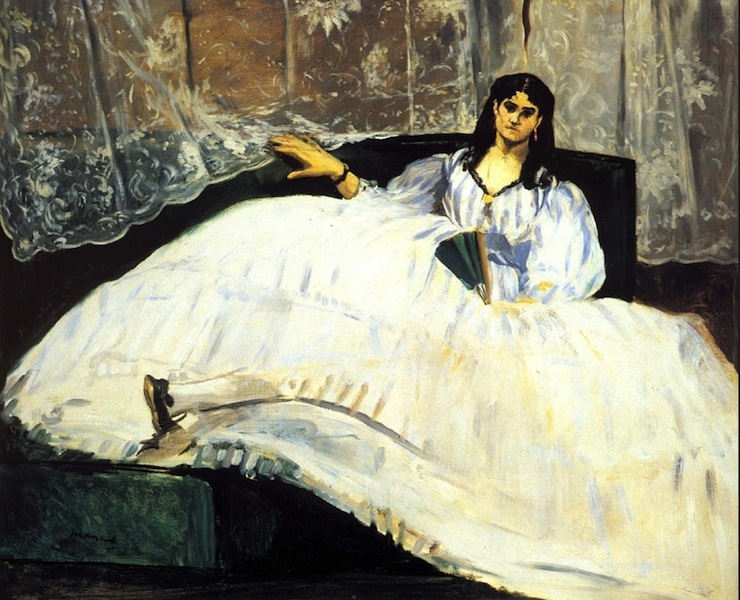 Surely some billionaire art lover could buy it and burn it out of kindness to Manet’s memory. His ghost would surely breath a sigh of relief.